Make bath time more enjoyable with this fun filled gift set! Includes a large turtle and 3 bath squirt toys. This bath set makes a wonderful gift for baby showers and birthdays. 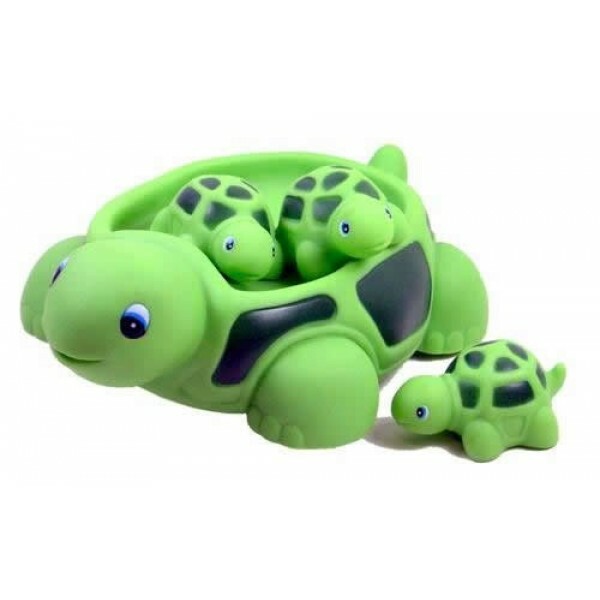 Every part of the set is at once fun and elegantly coordinated, from the tiny green turtles to their large mother turtle that also functions as a soap dish. 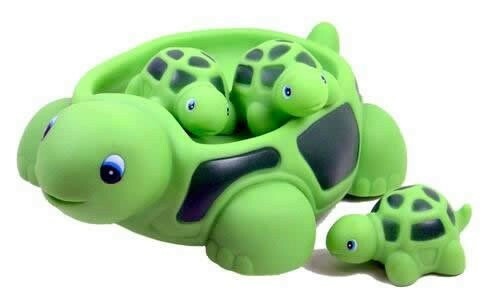 Set includes: 3 squirting turtles and "Mama Turtle" soap dish, all made of phthalate-free vinyl. A compact and fully accessorized bath set, perfect for making bath time, fun time!